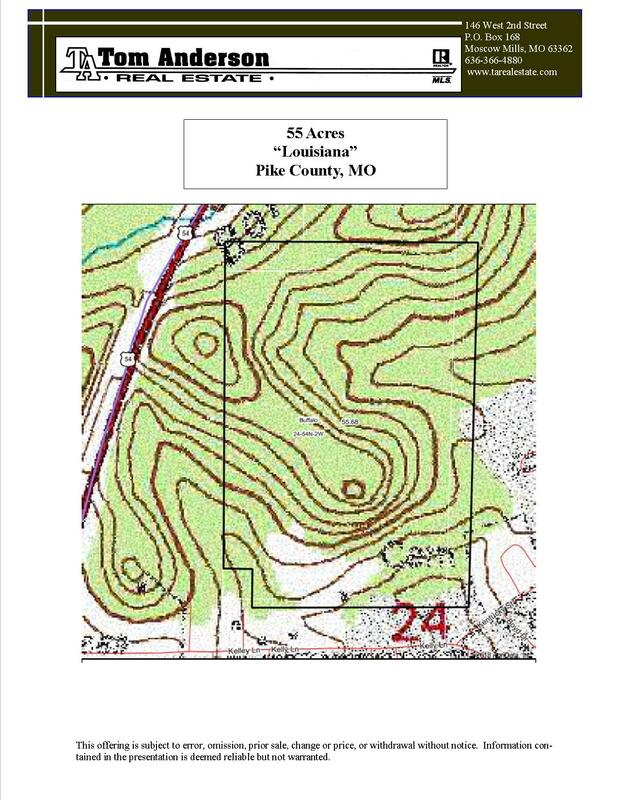 55 Acres, “Louisiana”, Pike County, MO Located in historic Louisiana Missouri lies this 55-acre tract. This all wooded property sits high on a ridge top overlooking the Mississippi River Valley boasting panoramic views and vistas of the countryside. This property is ideal for personal residence, development, and/or recreation in the City Limits of Louisiana with public sewer & water. 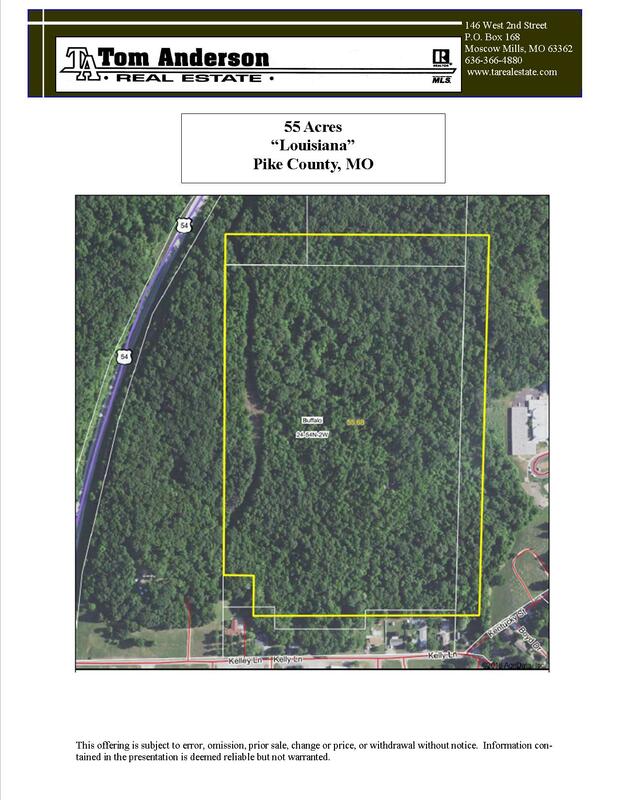 From Bowling Green - Hwy 61N to Hwy 54 to Louisiana, Right on Kelly Lane, Property on Left.